The Slipstream Swedish goggles are a high quality, low profile design with a silicone gasket on the lense for added comfort. They providing a great peripheral vision and the the poly-carbonate UV protected lens have anti-fog coating. The silicone gasket and strap provide a comfortable and leak-free seal, which makes them ideal for long training sessions and are also a favorite for racing. 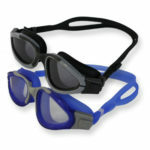 The goggles include a string and silicone inter-changeable nose pieces. 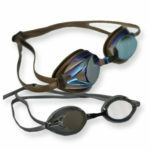 Slipstream Swedish goggles are available with brown or pink tinted mirror lenses to reduce glare from indoor lighting or sun. 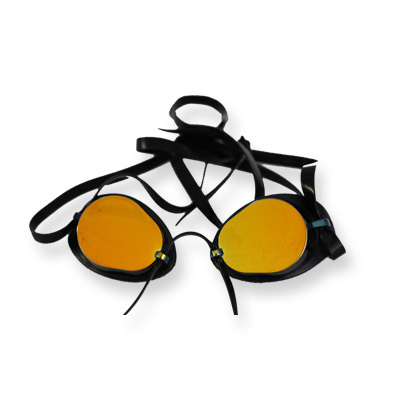 The Slipstream Swedish Goggles are the perfect choice for the serious swimmer.